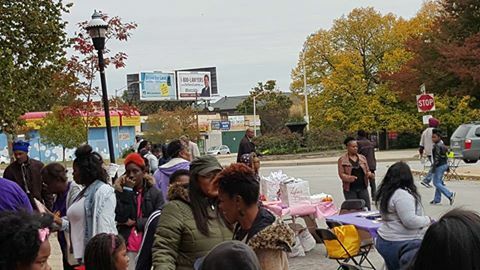 Donate to DRUM - DRUMondawmin Healthy Families, Inc. Prefer to text? Donate by texting "CCC2015" to 51555 and provide DRUM's CCC designation code: #1057. Volunteer: ​Help out at a weekly playgroup, or contact us to discuss a specific project that you have in mind. There a many opportunities to help children and their families. Call 410-225-3555. Join our resource pool: Are you someone, or do you know someone who provides a free or low cost service to local families? Call 410-225-3555. Give: We are always looking for new or gently-loved children's items, including diapers, books, toiletries, clothes, car seats, strollers, and gift cards. Drop them off at our office located at 2100 Eutaw Place, Baltimore, Maryland 21217. Shop: Do you shop on Amazon? Amazon will donate 0.5% of your purchase to DRUM. Just type in "Drumondawmin" as your charity of choice when you visit smile.amazon.com.